Prizma Canvas Textured Paper 230gsm. This high quality, matt coated fine art paper has a structure s..
A 230gsm high white textured canvas paper for cost effective photo and fine art prints.Produce exqui..
HP Designjet T520 Canvas Textured Paper 230gsm. This high quality, matt coated fine art paper has a structure similar to traditional canvas. The special coating provides excellent ink performance with a wide colour gamut and high lightfastness using pigmented inks making it ideal for museum quality prints. 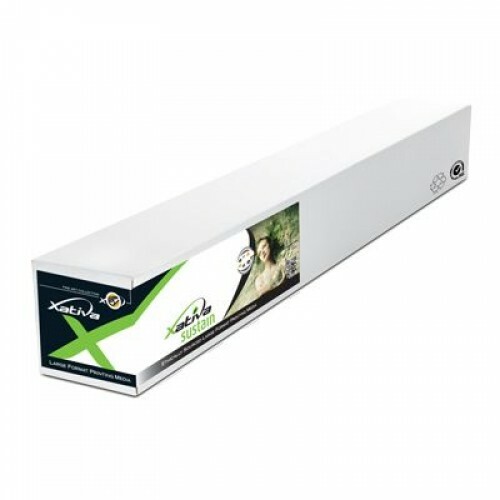 The longer length 30m roll makes it ideal for high volume fine art and photographic printing. It is suitable for use with any wide format dye or pigment inkjet printer including HP, Canon and Epson. A4 Samples available on request.